The centerpiece of any home theater experience is of course the screen. There was a time not too long ago where high definition televisions were something out of reach for most consumers. Now, the prices have come down, the pixels have increased and the screens have gotten larger. You can actually find a very affordable high definition home theater television today. 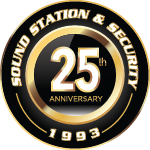 Sound Station and Security can install a large HD television directly into your wall, mount it or put it on a stand off of the wall. There are options in LED, OLED, 4K Ultra HD and even outdoor televisions that can be enjoyed on a porch or patio. We have many televisions to choose from and an expert staff that will help you determine just the right option for your home theater.